Steve Mason’s work, that with The Beta Band, King Biscuit Time, Black Anthems & those in his own name, have always held a distinct sound, one that from the very outset and without prompting can be said immediately, is his. However you choose to look at it, it is clear that from his early days fronting said Beta Band, one that achieved “cult status”, Steve might be viewed by many as an old friend – I almost feel like offering this album a cup of tea and if I have some in, a slice of cake. Well this time I think he would probably be excused for taking the whole cake! 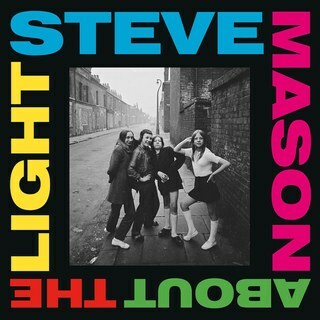 Whereas on previous albums, he has on the most part worked alone, this time wanting to capture the energy the band achieve when playing live, they worked on a collection of songs together, and with producer Stephen Street have produced something that captures the essence of a Steve Mason album, while at the same time is quite different in its feel. So, sorry Steve, I think you’ll have to share that cake. The sound The Beta Band produced was rightly described as fitting the genre of “Folktronica”. Although I can still hear that here, it goes one level further and has produced work that is not just treading water, but will certainly surprise. This does sound and feel, as Steve puts it, like a “real album”, and I would say as a consequence is perhaps less fragile than others. Opening with “America Is Your Boyfriend”, this kicks off with what sounds like a marching band, a song which, it could be said, is cleverly making reference to those chasing an ideal that never really exists. Clever lyric writing, yes America is your “boyfriend”. Sarcasm, perfect! Steve’s lyrics are usually so personal and this is no different, with love, depression and disappointment dealt with in songs like ‘Rocket‘, “Won’t you take the pain, don’t you feel the same? Help me rearrange, we can put it all together again…” and ‘No Clue‘, “Found a piece of my mind, lying by the side of the road. Couldn’t stop for too long, cause I felt I was getting old. Have to move real fast now, speed out from under the shroud…”, fascinating songs that cry out to be understood? An album I felt musically had the feel of Primal Scream’s ‘Give Out But Don’t Give Up‘, but whereas the former travelled to Memphis to record theirs, Steven & Co. did so between London & Brighton. From the very artwork seen on the sleeve, to the musical arrangement, About The Light is an album that demands further investigation. About The Light is out now on Domino.